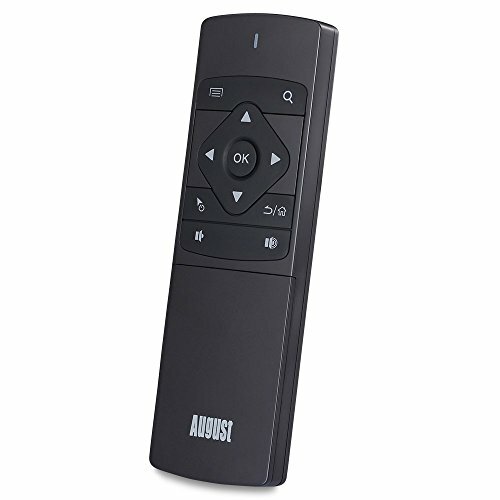 This is the media remote you want! We counted 39 reviews for this product over the span of 687 days, an average of 0.1 reviews per day. If these reviews were created randomly, there would be a 99.9% chance that we would see 2 or fewer reviews on any given day. We didn't find any days exceeding this threshold. 1 of the 39 reviewers has only reviewed this product. This is within an acceptable range and it does not appear to be significantly affecting the overall rating for this product. 3 of the 39 reviewers have written multiple reviews but posted all of them on a single day. This is within an acceptable range and it does not appear to be significantly affecting the overall rating for this product. 1 of the 39 reviewers has reviewed other products for this brand. This is within an acceptable range and it does not appear to be significantly affecting the overall rating for this product.